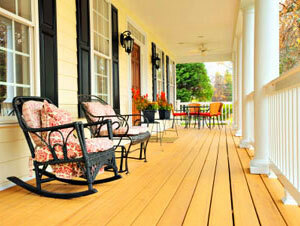 Bed and Breakfasts are a popular accommodation choice in the Chesapeake Bay region. These are the only lodging options in some of the smaller towns, and a preferred option by those who appreciate the charm of these establishments. Many of these B&B are located in the heart of historic districts and within easy walking distance of attractions. Innkeepers are usually happy to help you get oriented to the area and may even be able to provide assistance with arranging for tours and special activities. BayDreaming.com’s Chesapeake Bay Bed and Breakfast Directory provides a list of bed and breakfast establishments in the Chesapeake Bay area. The listing is categorized by region. Brampton Bed & Breakfast Inn – Located on 20 wooded acres, just one mile outside of Chestertown, Maryland. 25227 Chestertown Road, Chestertown, MD 21620. Great Oak Manor Inn– Waterfront bed and breakfast on the outskirts of Chestertown. The Inn at Mitchell House – Located between Chestertown and Rock Hall in Kent County. An 18th Century manor house on 12 manicured acres. John Stam House – Four guest rooms in historic downtown Chestertown. 114 Washington Street, Chestertown, MD. Lauretum Bed & Breakfast Inn – This 1881 home sits on six acre property in Chestertown. Simply Bed and Bread– Located 100 yards from the Washington College campus and a 10 minute walk to downtown Chestertown. Widow’s Walk Inn – In Chestertown’s historic district. Within walking distance of the Chester River, Washington College, shops and restaurants. White Swan Tavern– A restored historic inn. North Bay Bed & Breakfast – Nautical setting, Harbor view, and waterside accommodations. Everything sailing with a bit of power boating. Delicious full breakfast. North Bay, experience the Bay lifestyle. 9 Sun Set Drive, North East, MD 21901. La Cle D’Or Guest House – Historic Hopkins House in Havre de Grace. Three suites with private baths. Spencer-Silver Mansion – An 1896 Victorian mansion decorated in period style. Located in the historic district, a few blocks from the Concord Point lighthouse and the decoy museum. Vandiver Inn – An 1886 Victorian mansion located just blocks from the Chesapeake Bay. Two adjacent guest houses provide additional rooms. The Black Duck Inn and Dockside Cafe – 21906 Chesapeake Ave. Rock Hall, Md. Overlooks Rock Hall harbor. Complimentary dockage for guests arriving by boat. The High Tide Inn– 20828 Rock Hall Ave. Rock Hall, Md. Next door to Haven Harbour Marina and within walking distance of downtown. Inn at Huntingfield Creek – 4928 Eastern Neck Road. Rock Hall, Md. Located on an historic waterfront farm estate. Osprey Point Inn, Restaurant and Marina– 20786 Rock Hall Ave. Rock Hall, Md. 30 acre waterfront property with Inn, marina, and gourmet restaurant. Inn at Swan Haven – 20950 Rock Hall Ave. Waterfront Inn. Walking distance to downtown. Tallulah’s on Main – 5720 Main Street. Rock Hall, Md. Located on Main Street, close to restaurants and shops. 1840s Carrollton Inn – A series of connected row homes surrounding a central courtyard in the historic Jonestown neighborhood. 50 Albemarle Street, Baltimore, MD. BlancNoir – B&B with modern style located in the heart of the Little Italy neighborhood. 210 High Street, Baltimore, MD. Blue Door on Baltimore – A Baltimore rowhouse bed & breakfast in the Butchers Hill neighborhood. 2023 East Baltimore Street, Baltimore, MD. Celie’s Waterfront Inn – Located in historic Fells Point neighborhood. 1714 Thames Street, Baltimore, MD. Inn at 2920 – Contemporary inn in downtown Baltimore. 2920 Elliott Street, Baltimore, MD. Rachael’s Dowry Bed & Breakfast -Located in the historic Ridgely’s Delight neighborhood. 637 Washington Ave, Baltimore, MD. Scarborough Fair Bed & Breakfast – Located in Federal Hill neighborhood. 801 South Charles Street, Baltimore, MD. Academy Bed and Breakfast – In the heart of downtown Annapolis, steps to city dock and restaurants. The Annapolis Inn – An historic landmark townhouse on Price George Street in the heart of the Annapolis historic district. Annapolis Royal Folly – Located in the heart of Annapolis historic district. Steps from the Naval Academy, state capital, shops and restaurants. Annapolitan Bed & Breakfast – Centrally located in historic downtown Annapolis. Close to Naval Academy Stadium. Charles Inn – Restored Civil War era home. In the heart of the Annapolis historic district. Chez Amis Bed & Breakfast – Located in the heart of the Annapolis historic district. Four bedroom bed and breakfast. Flag House Inn – Located 1/2 block from the City Dock and Naval Academy visitor’s gate 1. Gibson’s Lodgings– Three houses on the same property with a total of 20 guest rooms. 1/2 block from City Dock and right next to the Naval Academy. Inn at Horn Point – 100 Chesapeake Avenue. Annapolis, MD. Located in the village of Eastport, within walking distance of shops and restaurants. Water taxi available three blocks from the inn. Randall House Bed & Breakfast – Located near City Dock and Naval Academy entrance. 30 Randall Street, Annapolis, MD. Schooner Woodwind Boat & Breakfast– Sleep aboard a classic wooden 74-foot schooner. Package includes two-hour sunset sail, overnight accommodations in a private, air conditioned, stateroom with double double berth, and deluxe continental breakfast. Great downtown location! 80 Compromise Street, Annapolis, MD 21401. Statehouse Inn – Located on historic State Circle, close to the State Capital Building. 25 State Circle. Two-O-One Bed & Breakfast – English country house near William Paca House and Garden. 201 Prince George Street, Annapolis, MD. Back Creek Inn – Overlooks the water. Six rooms and a private cottage. Blue Heron Inn – Solomons Island Road bed and breakfasts. Water views. Solomons Victorian Inn – Charles and Maltby Streets. Marina views. Inn at Warner Hall – Historic property listed on the National Register of Historic Places. Located on a waterfront plantation established in 1642 by George Washington’s grandfather. 4750 Warner Hall Road, Gloucester, VA. The North River Inn – Surrounded on three sides by salt water, the North River Inn spreads luxuriously across one hundred acres of Virginia countryside in the historic Tidewater region off the Chesapeake Bay, VA. P.O. Box 695, Route 622 (Toddsbury Lane). Gloucester, VA 3061. Hope and Glory Inn – A top-rated inn located in an historic schoolhouse. Six schoolhouse rooms and six garden cottages. The Inn at Tabbs Creek – An award winning Waterfront B&B located in Mathews County, Virginia. The perfect place for a quiet romantic getaway. Fleeton Fields Bed & Breakfast – Located in nearby Fleeton in a waterfront, park-like setting. The Gables – Five-story mansion located in Reedville’s historic district. Grandview Bed & Breakfast – Located on a peninsula at the mouth of the Great Wicomico River. Ma Margaret’s House Bed & Breakfast – A lovingly restored grandmother’s home. Atherston Hall Bed and Breakfast – A restored schooner captain’s home, located just steps from the waterfront. The Chesapeake Inn – A boutique hotel with thirteen suites, located in the heart of Urbanna. Albanus Phillips Inn – Centrally located inn with seven guest rooms. 314 Mill Stree, Cambridge, MD. Cambridge House Bed & Breakfast – Located in the historic district, this sea captain’s manor has six large guest rooms with private baths. Walk to the marina, specialty shops, restaurants, art galleries, museums and antiques. 112 High Street, Cambridge, MD 21613. Killarney B Inn B – On the shores of the Choptank, within easy walking distance of the public fishing pier and Sailwinds Park. 102 Killarney Road, Cambridge, MD. Lodgecliffe on the Choptank Bed & Breakfast– A gracious turn-of-the-century country home perched on a bluff overlooking the Choptank River. 103 Choptank Terrace, Cambridge, MD. Mill Street Inn Bed & Breakfast – Restored Victorian home in the heart of the historic district is just a half block to the river and a short walk to restaurants, shops, and galleries. 114 Mill Street, Cambridge, MD. Victoria Gardens Inn – 18th Century home in the historic area of Cambridge. 101 Oakley Street, Cambridge MD. Pieceful Cottage B&B – Located in Wenona at the southern end of Deal Island. The B&B has beautiful water views. Two rooms are available, one with a private deck overlooking the harbor and Bay. The owner is a quilter and the rooms feature handmade quilts. Bartlett Pear Inn – Restored inn with restaurant and cocktail lounge. Bishop’s House Bed and Breakfast– Restored home located on a large lot in Easton’s historic district. Inn at 202 Dover – Historic mansion built in 1874. Located a short block from downtown shopping, galleries, and theater. John S. McDaniel House – Victorian home. Short walk to downtown. Miles River Guest House – Located outside of Easton on the banks of the Miles River. Combsberry Inn Bed and Breakfast – An historic 1730 English Country Manor home on 30 acres of waterfront property. Robert Morris Inn – A historic colonial country inn located on the Tred Avon River. Within walking distance of the Oxford-Bellevue Ferry. Ruffled Duck Inn – Located in Oxford’s historic district. Sandaway Waterfront Lodging – An 1875 Victorian mansion on the water with a sandy beach. Aida’s Victoriana Inn – An 1865 home on the historic harbor of St. Michaels. Within walking distance of most attractions. Bay Cottage Bed & Breakfast – 26640 Yacht Club Road, St. Michaels. Waterfront B&B on a quiet point of land. The Cherry Street Inn – 103 Cherry Street, St. Michaels. Downtown B&B. Dr. Dodson House Bed & Breakfast – Brick home in the historic district, near the harbor. Five Gables Inn & Spa – 209 N. Talbot Street, St. Michaels. Historic inn with spa tubs, indoor pool, sauna, and steam room. George Brooks House B&B – Restored historic home just outside of town on eight acres with swimming pool. St. Michaels. Hambleton Inn – 202 Cherry Street, St. Michaels. Downtown B&B. The Old Brick Inn – 401 S. Talbot Street, St. Michaels. Circa 1816 inn located in the heart of St. Michaels. Parsonage Inn – 210 North Talbot Street, St. Michaels. Downtown B&B. Point Breeze Bed & Breakfast – 704 Riverview Terrace, St. Michaels. Waterfront B&B. The Snuggery Bed & Breakfast – 203 Cherry Street, St. Michaels. Downtown B&B. Tarr House B&B – 109 Green Street, St. Michaels. Restored home in downtown St. Michaels, overlooking the harbor. Two Swan Inn – 208 Carpenter Street, St. Michaels. Waterfront B&B on the St. Michaels Harbor. Bay Haven Inn of Cape Charles – In town home with wrap around porch. 403 Tazewell Avenue, Cape Charles, Va. The Baywood Bed and Breakfast – Located out-of-town, one mile north of the Chesapeake Bay Bridge Tunnel. Cape Charles House – Downtown Cape Charles B&B, located on Tazewell Ave.
Chesapeake Bay View Bed & Breakfast – Located across from the beach with sunset views. 212 Bay Ave, Cape Charles, VA. Fig Street Inn – Boutique-style inn located in historic Cape Charles. Walking distance to shops and restaurants. 1/2 mile to the Bay and beach. King’s Creek Inn – Colonial plantation home located outside of town. 3018 Bowden Landing, Cape Charles, VA.
Sea Gate Bed and Breakfast – Located in historic Cape Charles, close to the beach. 9 Tazewell Avenue, Cape Charles, VA.
My Fair Lady Bed and Breakfast – A fully renovated Queen Ann Victorian-style home. Five rooms with private baths. Marquis Manor Bed and Breakfast– Located in Crisfield’s historic area. Caters to outdoor activities. Charlotte Hotel and Restaurant – A boutique hotel in the heart of Onancock. Fine dining restaurant and full service bar. Colonial Manor Inn – Located on a large lot in downtown Onancock. The oldest operating inn on the Eastern Shore. The Inn at Onancock – Renovated Eastern Shore home with five guestroom, each with private spa-style bathrooms. Located just down the street from shops and restaurants. The Inn and Garden Cafe – Located on Market Street, a short walk to shops and restaurants. On-site fine dining restaurant. Spinning Wheel Bed and Breakfast – Five room bed and breakfast. Located on North Street, just down the street from restaurants and shops. The Somerset House Bed & Breakfast – In the historic town of Princess Anne, Maryland. A casually elegant reminder of times gone by, with period antiques, brilliant chandeliers, soaring ceilings, and Eastern Shore hospitality. Chesapeake Sunrise B&B – Located next to the Smith Island Marina. Breakfast included. The Inn of Silent Music – Located in Tylerton and open April 1st through November 1st. All rooms have a water view. A gourmet breakfast is included, and a local seafood dinner is also available. Smith Island Inn – A quaint B&B on historical Smith Island offering private suites with full baths, full gourmet breakfast, canoes, bicycles, birdwatching, and beautiful sunsets. Weekend Smith Island Cake demonstrations. Families, singles, and couples welcome. Susan’s on Smith Island Bed & Breakfast – A two bedroom rental with beautiful views of the Chesapeake Bay. Enjoy a home cooked breakfast on the front porch.